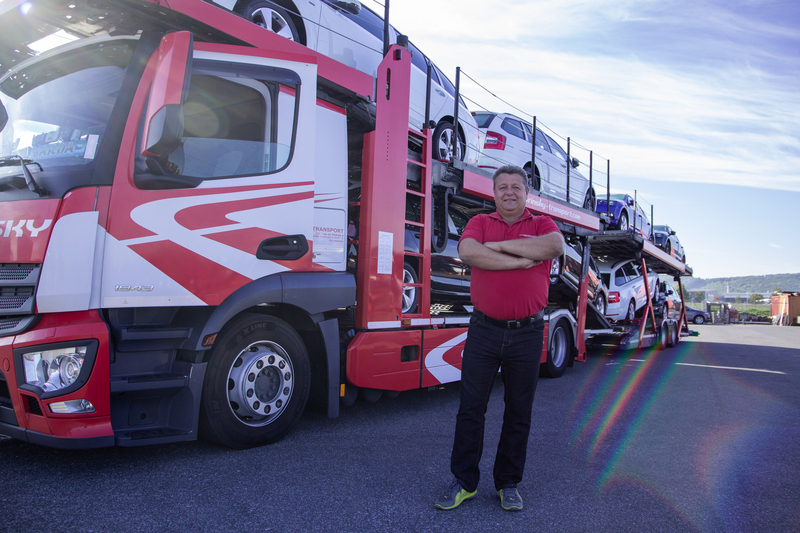 As Sunday gives way to Monday, the 56-year-old employee of Turinsky Transport, a company based in from Mladá Boleslav, heads off with a cargo of ŠKODAs from the local plant in Mladá Boleslav or the factory in Kvasiny. 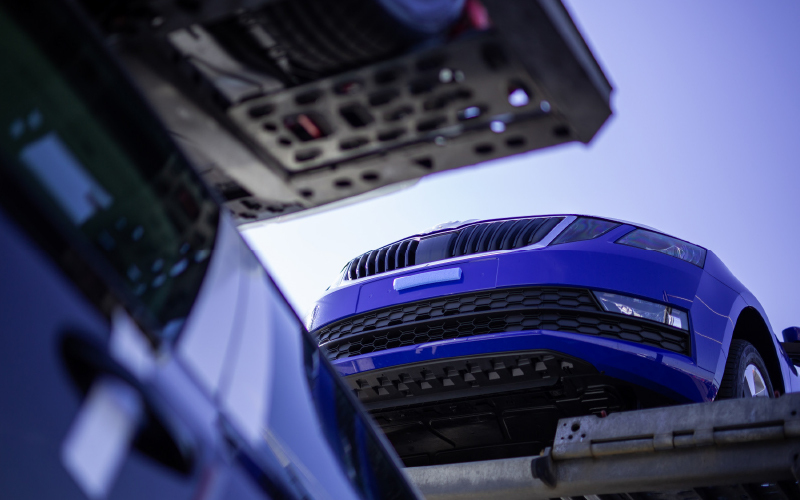 The carrier trailer can hold ten of the smaller models, such as the ŠKODA CITIGO, but just seven of the larger ŠKODA KODIAQ SUVs. 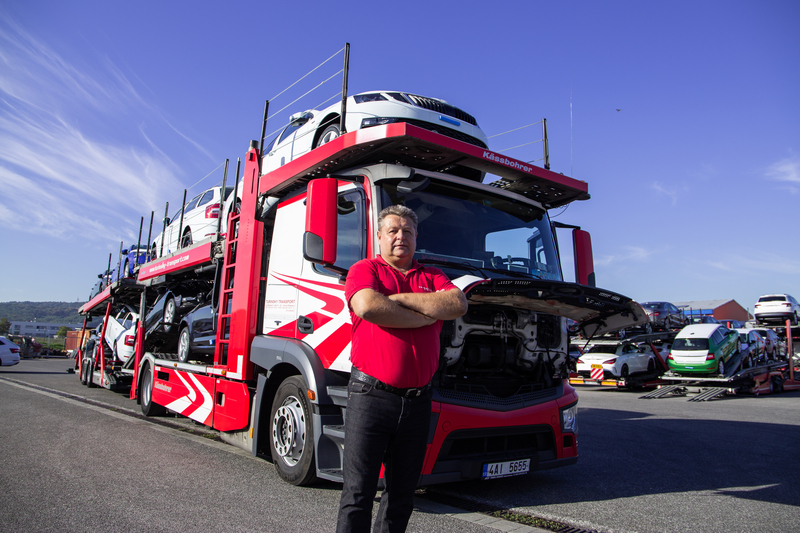 He can also carry a combined load, such as a nine-car mix of ŠKODA FABIAs and ŠKODA OCTAVIAs. Jaroslav Tětek usual routes take him to Germany, but occasionally he goes to more distant climes, such as Spain. 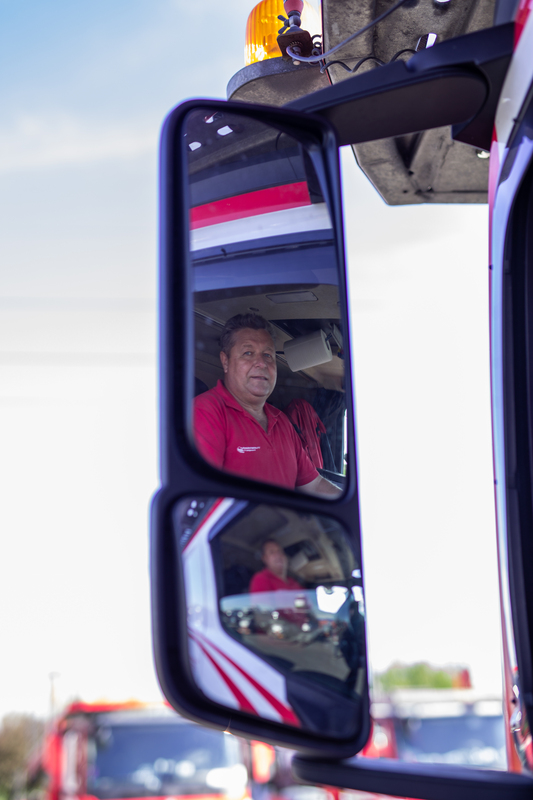 This is what he enjoys the most, as it is an opportunity to get some proper driving in between loading and unloading, while have a good rest during compulsory breaks on the way. That is not to say he has a good old holiday when he reaches his destination. Occasionally he might come across a colleague who knows the area around the truck park and who shows him some of the local attractions or sights. Usually, though, there isn’t time to explore the country. Like most drivers, he takes food with him when he’s hauling as he can’t pop into town centres in his truck and parking at supermarkets is often impossible. This actually saves him money. From time to time, there might be an opportunity to have a meal at a restaurant. Tětek has seen ŠKODAs on the roads in all the European countries he’s been to. Of course, he is also perceptive about the cars he himself transports. He has noticed, for example, that when he takes ŠKODA OCTAVIAs to Germany, they are virtually always estate cars. His ŠKODA SUPERBs are mainly black or white. Other colours are not as common. 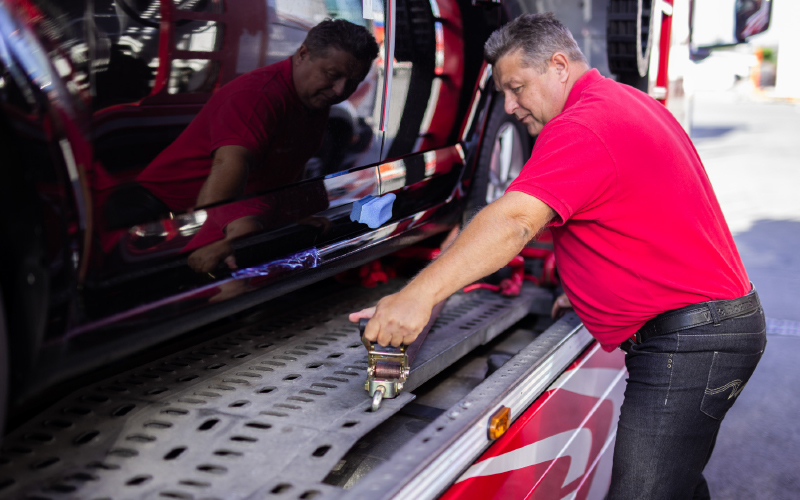 The drivers themselves are responsible for loading and unloading the cars that are to be transported. 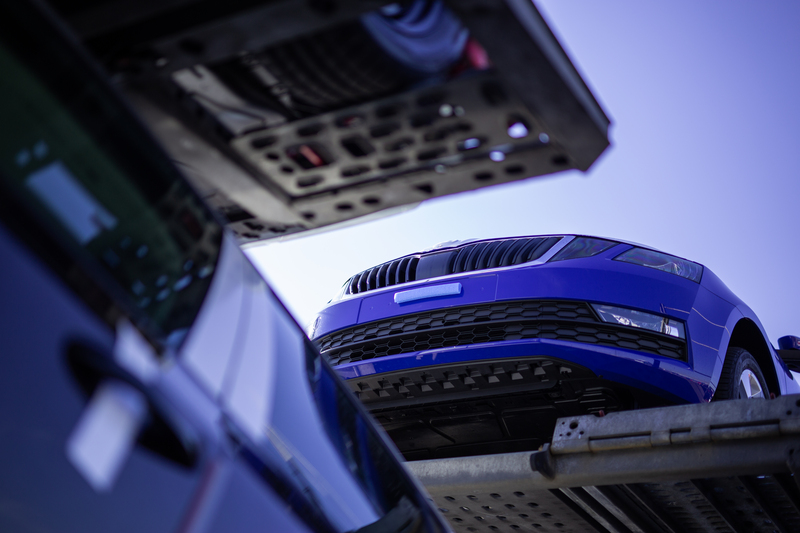 These cars are prepared on the basis of an online order in the ŠKOTR system, to which both the carrier and ŠKODA are connected. 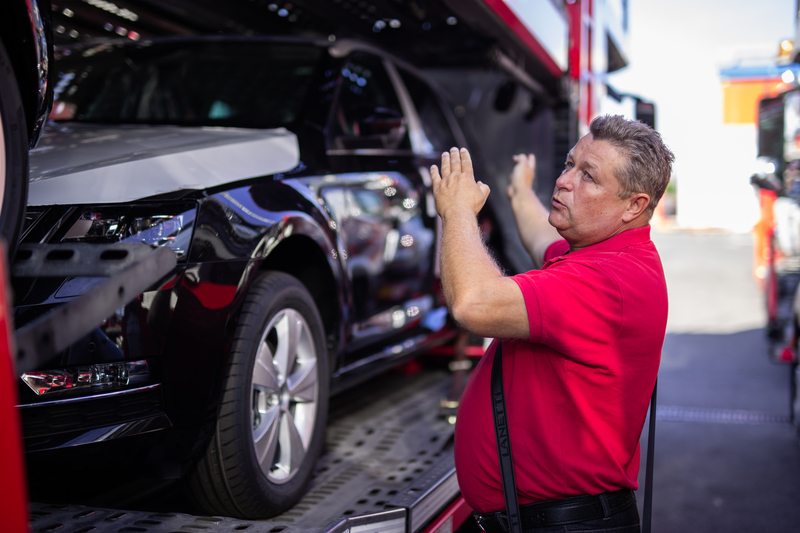 Drivers work with staff from ŠKOTRANS, the section responsible for the distribution of the produced cars, to check the cars and plan how to handle them. “It's like a building set. 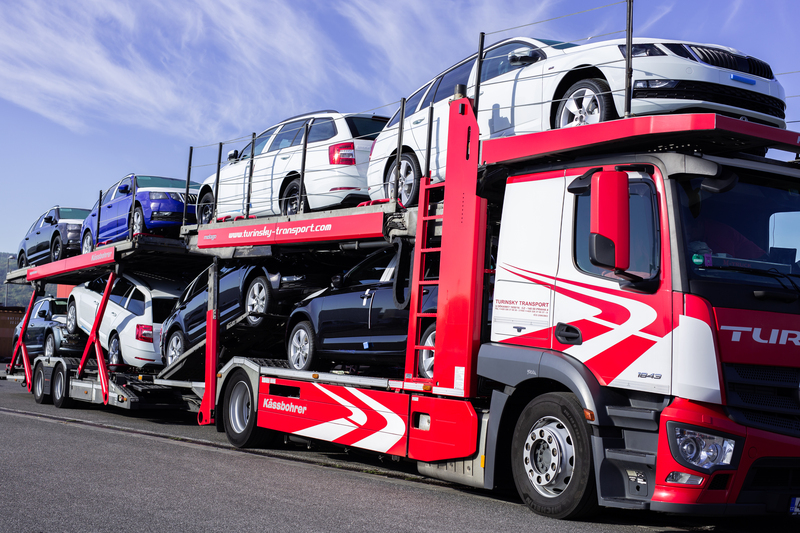 The truckload is different, the cars are all different sizes, and the number of cars you carry varies. And each time you have to arrange them to fit a particular height and length,” explains Tětek. 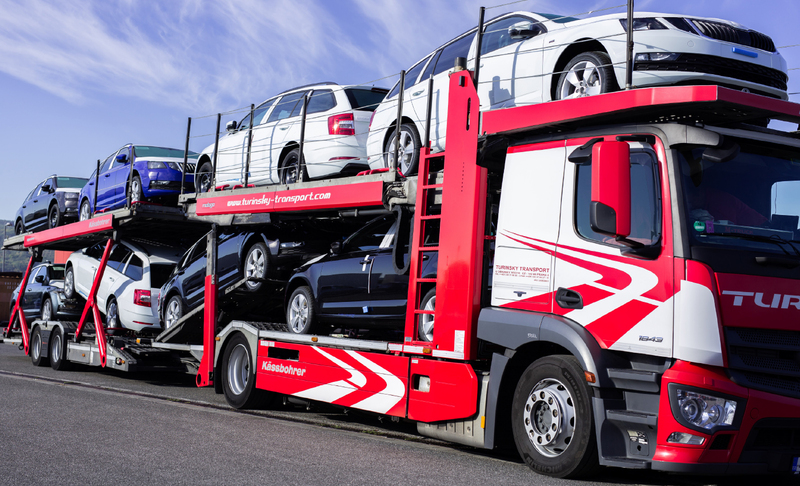 Compared to other sorts of cargo, then, car transportation is a little more adventurous. 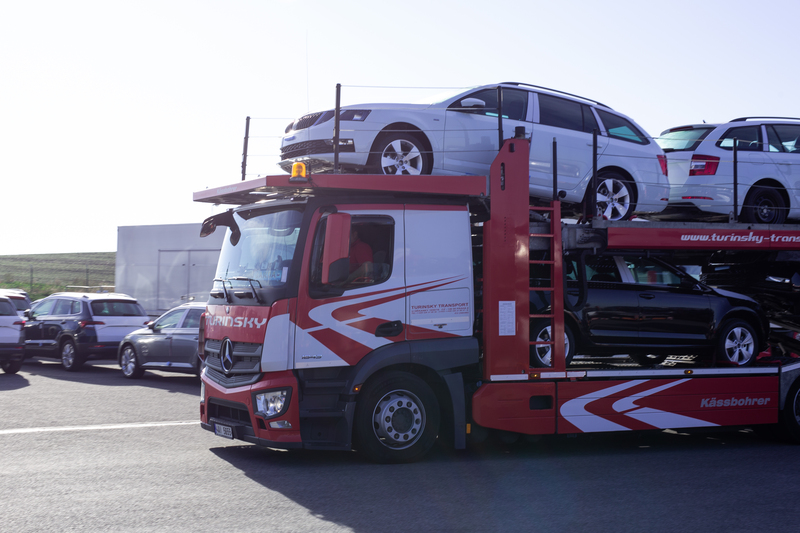 In addition, the maximum permissible height and length of a truck is not uniform across Europe, so drivers also need to think about what countries they’ll be passing through. Every driver must also keep an eye on the gaps between the loaded cars. Too narrow and vehicles could be damaged when the truck passes over various kinds of bumps in the road. The cargo also needs to be secured against movement. Drivers use the prescribed number of wedges and straps in keeping with the location and direction of the laden vehicle. 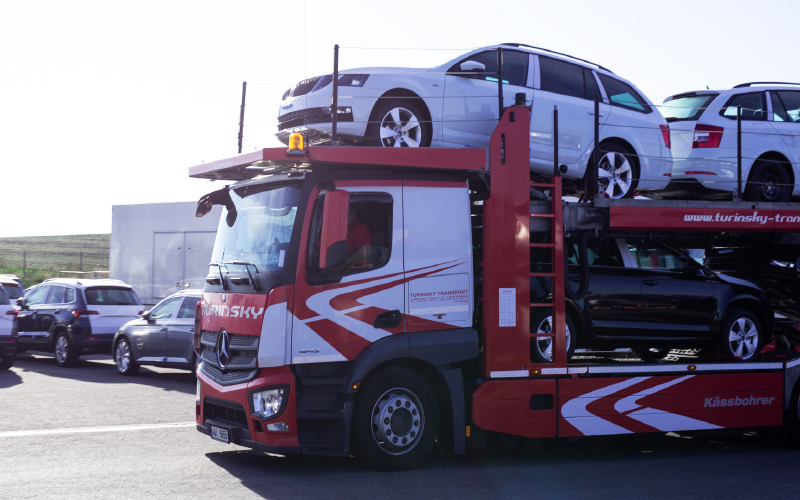 Loading and unloading speeds depend on the size of the cars being transported – horizontally loaded large models are faster to handle than small models, which are tilted using hydraulics. “Another factor is the weather because, if cars are frozen, you have to be slow and careful,” adds Tětek. One of the aspects of Jaroslav Tětek’s work that he appreciates most is the flexibility. 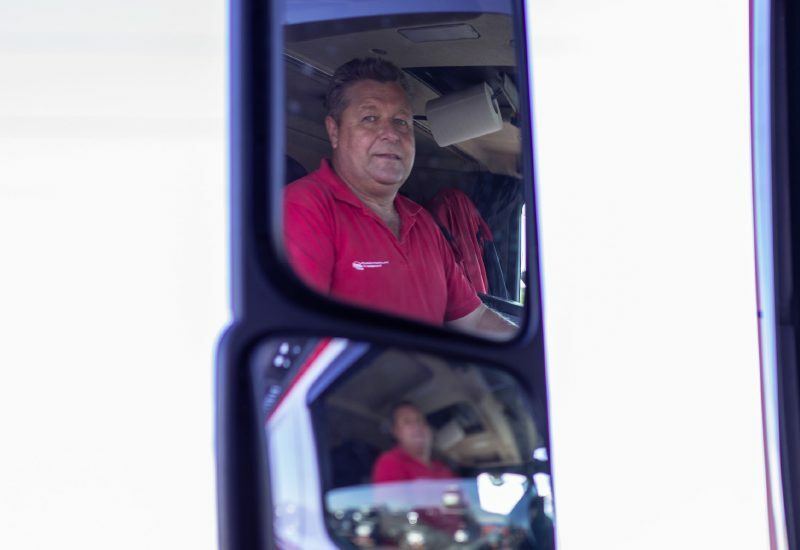 Asked what he thinks is important for truck drivers, he says without hesitation that there is no room for recklessness at the wheel, especially with large vehicles. Among the older drivers in particular, he feels there is a strong sense of solidarity. He believes that this was because, when there were border controls in Europe, they were all used to helping each other. “We may have been seeing each other for the first time, but everyone was quick to advise each other which papers had to be taken where,” he says, recalling the hours spent at customs. Even though drivers are not forced to communicate so much today, he says that their willingness to help a colleague is very important. It’s not easy for truck drivers to arrange family plans at weekends. “The wife is stuck at home, so she’d like to go somewhere at the weekend. But I’m away all week, so I’d prefer to stay at home on Saturdays and Sundays,” he laughs. 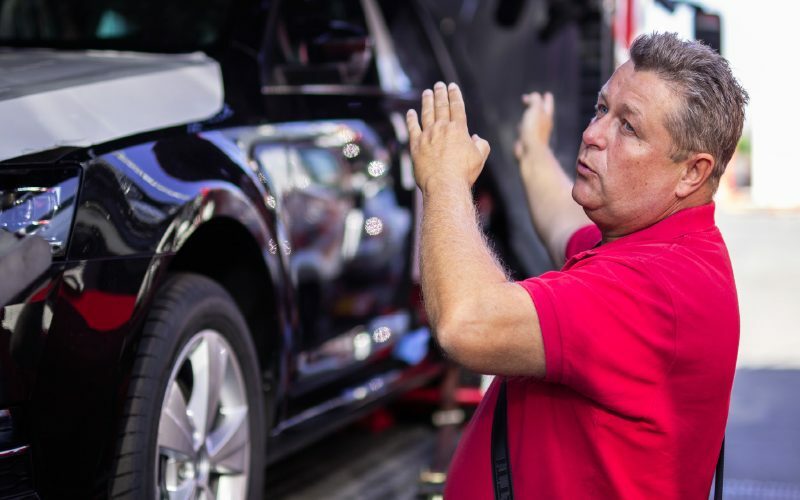 Tětek often goes on trips with his grandchildren, which necessitates travel for granddad in his free time as well, but on these occasions he’s only a passenger. 1. HOW DID YOUR WORK DAY GO YESTERDAY? I have work weeks, not days. Last week, I went to Germany and the Netherlands. Our destinations are set by the dispatcher every Friday of the previous week. We also load and refuel on Friday, so we ready to set off straight away on Monday. 2. WHAT MADE YOU WANT TO DRIVE A TRUCK? I’ve been fascinated with anything that has an engine or that I could ride on ever since I was little. For example, when I got on a bus, I would watch the driver to see how he changed gears. Then, in preparation for military service, I had the opportunity to do what they called the “trio”, i.e. get a driving licence for a tractor, a car and a lorry. During military service, I extended that to include buses and trailers, so when I was discharged I could start earning a living driving trucks straight away. Freedom. I don’t have an exact daily working time, just hours per week. So sometimes I start at six or eight, other times at four o’clock. I organise my working week according to the route assigned and the instructions given by the dispatchers. 4. AND WHAT BUGS YOU? The fact that the truck stops in Europe tend to be small and there is nowhere to take a break. For example, when I drive from Mladá Boleslav to Bratislava, I have no chance to park up in the afternoon. Everywhere’s full. Driving in France, where there is a relatively dense network of service areas and facilities, is the best. With my brother, we nailed together a hand-cart and put some wheels from a pram on it. And the feeling when I had my first driving lesson was amazing, so sublime. I enjoy driving to this day. Perhaps people would ride in horse-drawn wagons. I would probably find my way into transport whatever it looked like. 7. WHAT DO YOU THINK CARS WILL LOOK LIKE IN 20 YEARS? Although there are changes every year to regulations and standards are being made stricter, I still can’t imagine design changes. Our cabins are relatively small because we also transport cars on the roof. I don’t think there’s any more leeway in this respect. 8. WHAT DID YOU LIKE TO PLAY MOST WITH IN YOUR CHILDHOOD? As I said, my brother and loved wheels. When our older sister came from Prague to see us, we played with our brother-in-law’s car. He didn’t give us the keys, but we pushed it around and steered it back and forth in the yard until we turned it around. 9. DO YOU REMEMBER ANY UNUSUAL STORY YOU HAD WITH A CAR? More unpleasant than unusual. When I drove through Italy, there were always traffic jams in Venice. I was stopped in one of those, I put my warning blinkers on and suddenly, in my rear-view mirror, I saw a car hurtling towards me. I stepped on the brake so he’d notice the brake lights, but he didn’t slow down. So all I could do was brace myself for the crash. It really shook me up and I considered packing in the job. But, that aside, I very much enjoy driving. 10. TO WHAT PLACE, ANYWHERE IN THE WORLD, WOULD YOU LIKE TO GO BY CAR? My favourite countries for driving are those where the motorways are less congested. And perhaps I’d like to visit Norway. I would be interested in seeing it. I don't much like the heat, so the north attracts me more.